This spring wedding season we worked at a few venues that are new-to-us or that we have not worked at in a few years. It was a fun experience designing in new spaces, faced with new creative ideas (and challenges sometimes too! ), and being able to work with new venue teams. When we work with our full-service clients, we walk them through the different venues we love to work at to try and find the best venue suited for their specific needs. This may mean going and walking through several options before settling on the right one for our couples' special day! 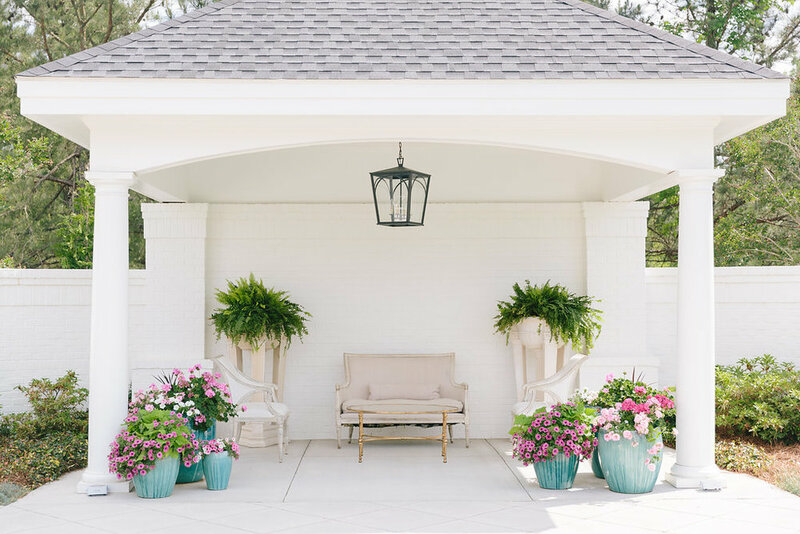 We thought it would be helpful for those newly-engaged Augusta brides if we put together a list of some of our favorite Augusta wedding venues (by no means is this all of the venues in town!) to help guide them in the very beginnings of their planning process! One of our favorite venues in town, the Old Medical College, is a great fit for those couples who are having a food station/heavy appetizer reception for a large guest count, or a seated dinner for a smaller guest count. 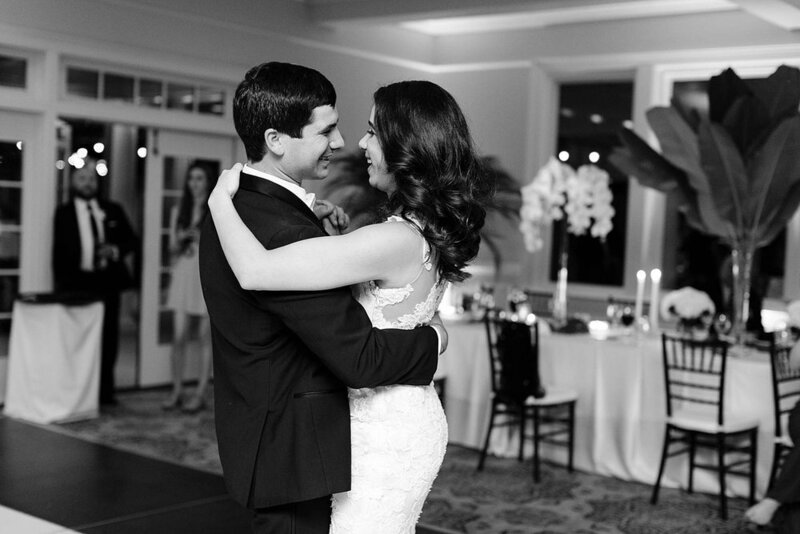 New rules dictate that you must put the dance floor and band downstairs in the Solarium, but the room is so beautiful that it is really the perfect place for them! 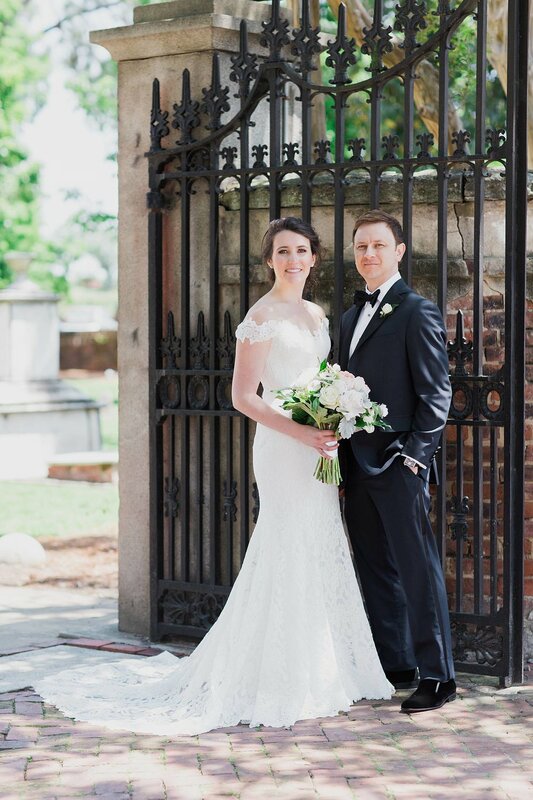 We, fittingly, have had many medical student graduates come back to Augusta and host their weddings here. Images below by Ashley Seawell Photography, Leigh & Becca, & Mark Williams Studio. A new-to-us venue this year, The Reserve Club at Woodside is technically not in Augusta. It is located in the beautiful town of Aiken, South Carolina, but that 30 minute drive is worth it once you see how beautiful this (public!) country club is. Recently renovated (by our bride & her mother! ), the Reserve Club is the perfect mix of traditional with a fresh twist. 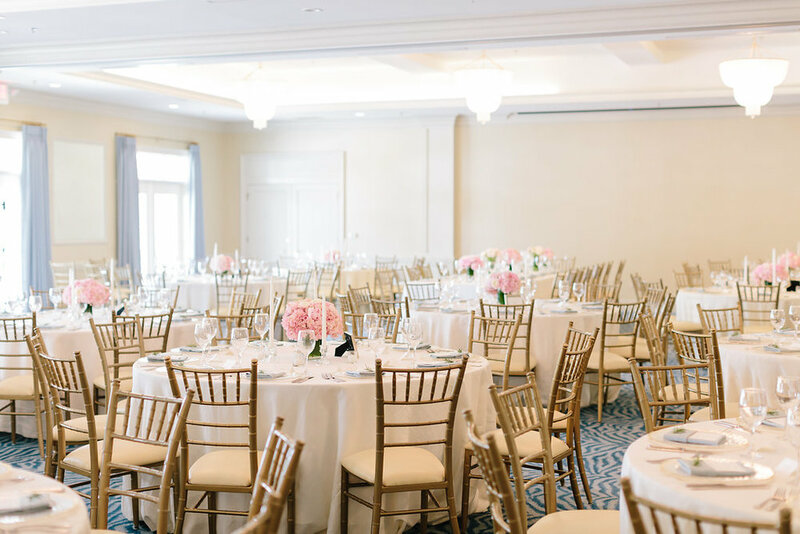 The grounds lend themselves to many different options for layout and event flow, a beautiful ballroom perfect for a seated dinner, and onsite bridal and groom suites, which is always a bonus! Images below by Lauren Carnes Photography. 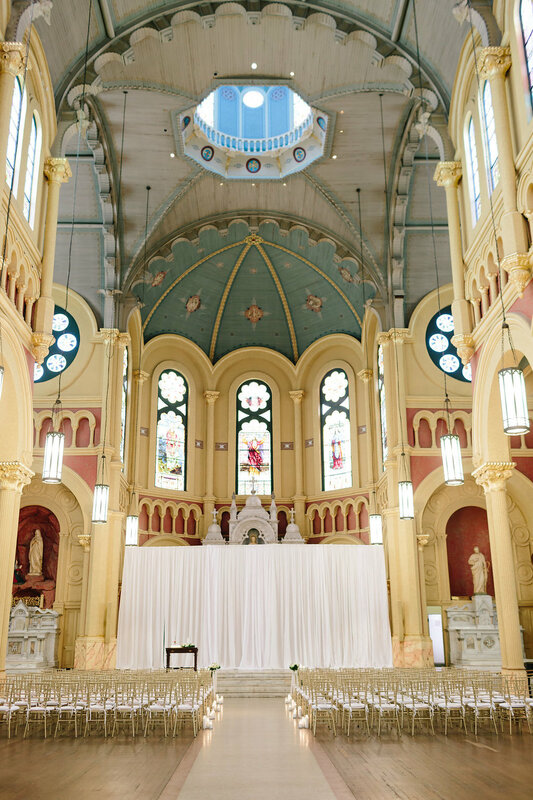 For the couples who want that "wow" factor effect out of their venue, Sacred Heart is always a beautiful option. 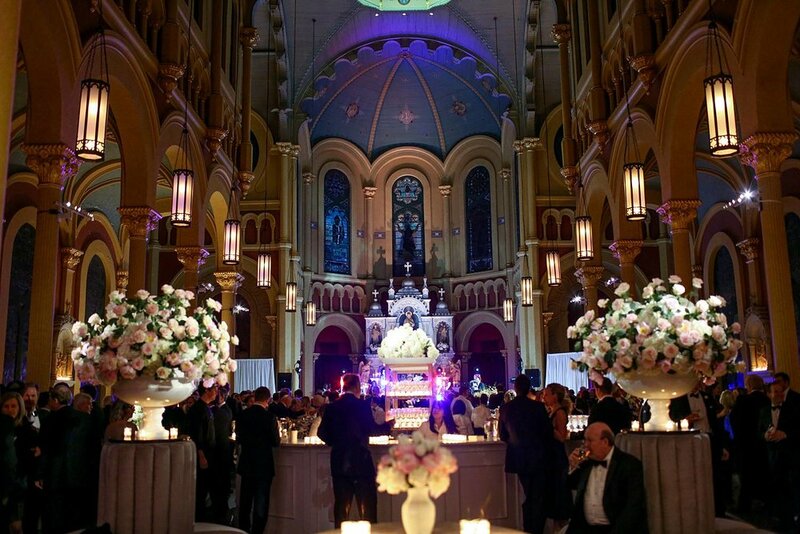 Once an operating Catholic church-this cultural center is always booked up for weddings and events. 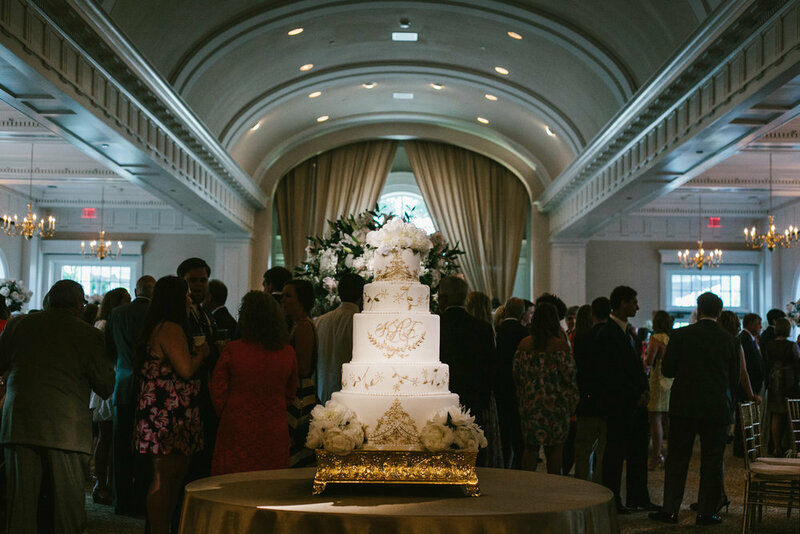 We have done everything from ceremony, to reception, to fundraisers, and even a fashion show in this space! The towering cathedral dome glows beautifully at night, truly a sight to be seen! Images below by Lauren Carnes Photography & Amy Noon Free. Champions Retreat is located just outside of the heart of Augusta, in Evans, Georgia. What we love about it is that it truly does feel like a retreat. The event space, called the Party Barn, is so well-designed, beautiful, and with the ability to rent the cottages onsite for your friends and family, you can really make a weekend out of your time out there. Champions is the perfect fit for those clients looking for a bit more of a rustic venue, but with elevated service and expectations. Images below by Rachel Tesch & Andrew Donnan. Enterprise Mill is one of those venues that makes it really easy on couples, they have a lot of the things you need already to go there, catering, rentals, etc. A once-mill-turned event center we like Enterprise Mill not only for wedding receptions, but especially for rehearsal dinners and other private events. 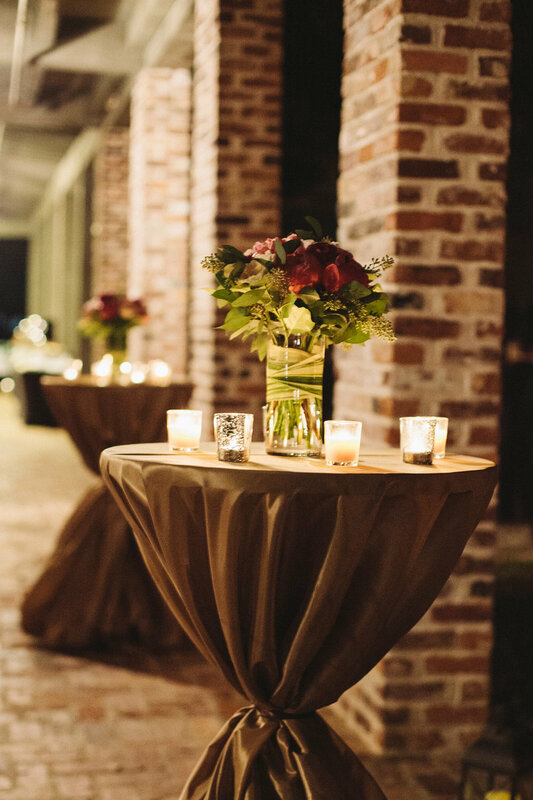 With two events spaces, a nice outdoor area, and a gazebo for the perfect outdoor ceremony it is a great option for clients who love that rustic-meets-modern event space style. Images below by Amy J Owen Photography. Another beautiful option for guests who are looking for a great space for a seated rehearsal dinner or heavy appetizer/dancing reception is the River Room at St. Paul's Church. Looking out over the Riverwalk in downtown Augusta, the River Room is a light-filled venue with pretty details. We love tenting the outside area to extend the space a bit more, allowing guests to soak up the beauty of the Savannah River. Images by Mark Williams Studio & Ashley Seawell Photography. 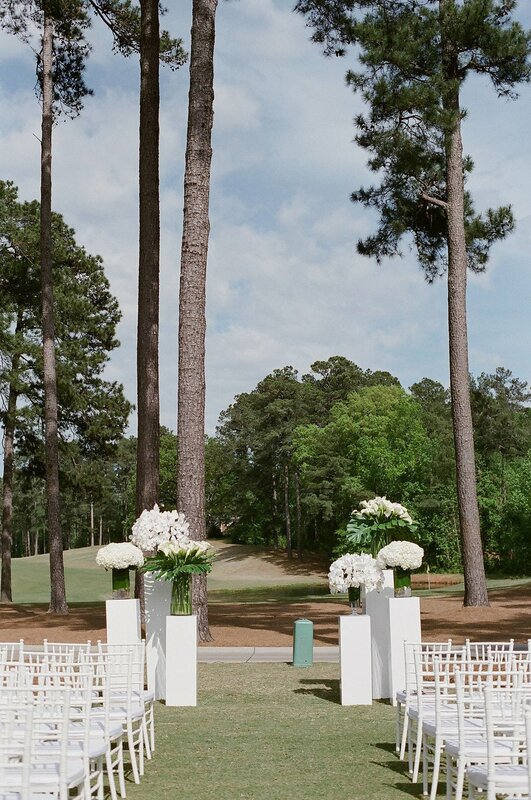 One often overlooked option for weddings and events is the West Lake Country Club. You do not have to be a member here to host an event, and it really is a wonderful option for clients who are looking for an indoor/outdoor event space. 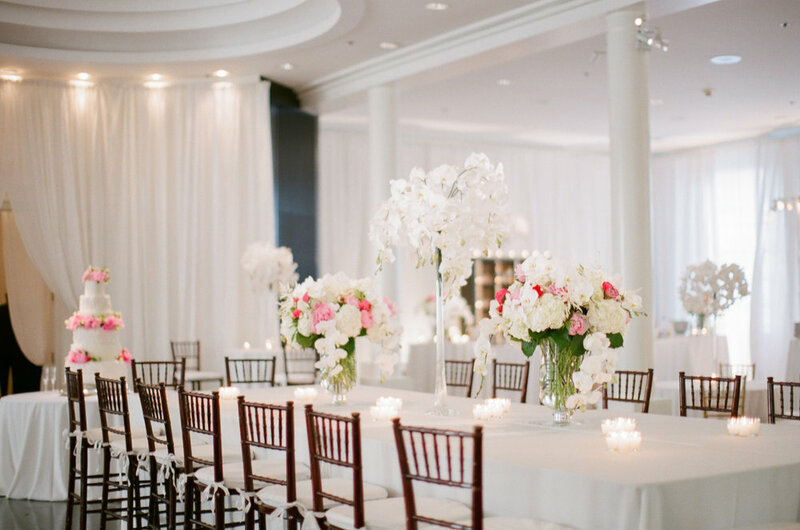 The ballroom has lots of light and is a good size for a seated dinner or dancing reception. 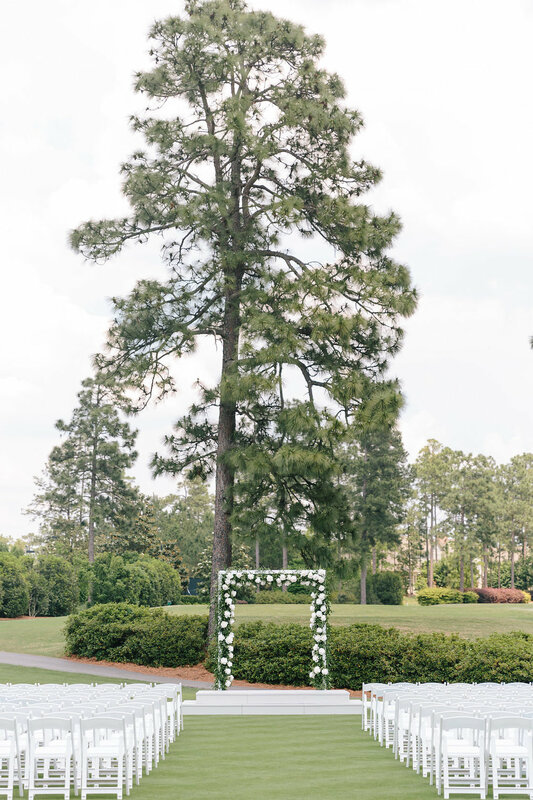 Our clients held the ceremony outside under towering pines and afterwards took a golf cart ride out to the 16th fairway for some beautiful portraits pond-side. Images below by Ashley Seawell Photography. 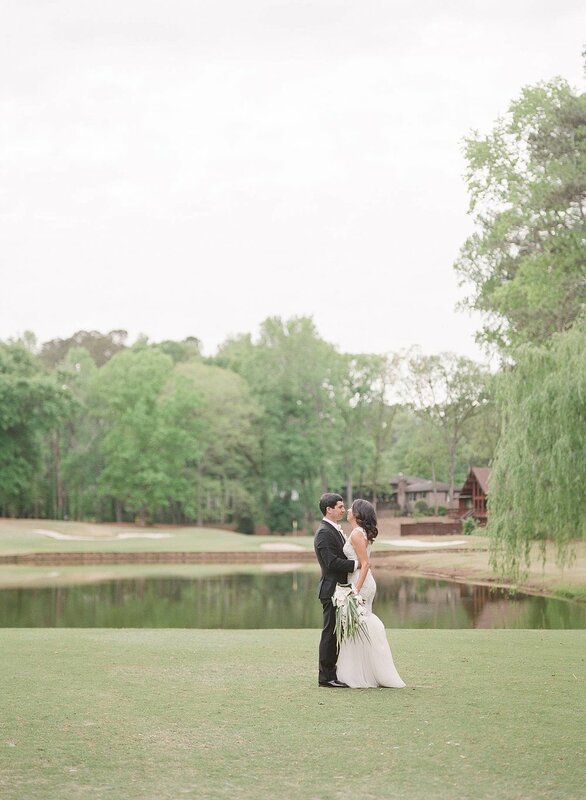 Now this list would not be complete without mentioning the gorgeous Augusta Country Club. Unfortunately you have to be a member (or close friends with one!) to be able to host your wedding or event here. 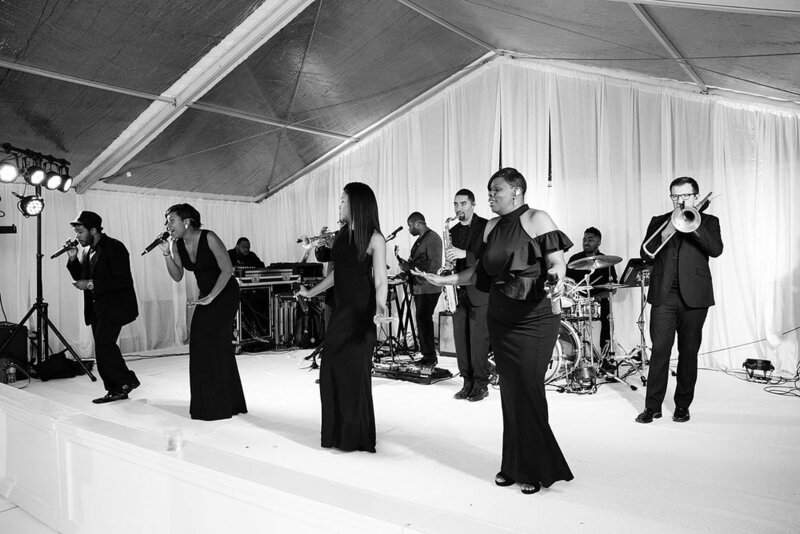 If you are so lucky though, your guests are treated to beautiful views of their fairways, exceptional service, and a beautiful entertainment space. We have been a part of many weddings and events here, so the most difficult challenge here is making each one different! Images below by Lauren Carnes and Ashley Seawell Photography.